Tripterygium wilfordii, also called thunder god vine, is a traditional Chinese medicine with a long and extensive application history. Triptolide is a natural product with a variety of biological activities. It comes from the root of Tripterygium wilfordii. Studies have shown that it has anti-oxidation, anti-rheumatoid, anti-Alzheimer’s disease, anti-cancer, and other effects. It is a diterpenoid lactone with various biological activities, which originates from the root of Tripterygium wilfordii. It is the main active ingredient in the preparation of triptolide tablets and Tripterygium wilfordii polyglycosides tablets for the treatment of rheumatoid diseases. Modern research shows that triptolide not only has anti-rheumatoid effect, but also has an anti-cancer effect. In the United States, a phase of anti-cancer clinical research is being carried out, and the natural active products of current hot research. Tripterygium wilfordii is a natural product with a variety of biological activities, derived from the root bark of thunder god vine. Triptolide has anti-oxidation, anti-rheumatoid, anti-Alzheimer’s disease, and other effects. 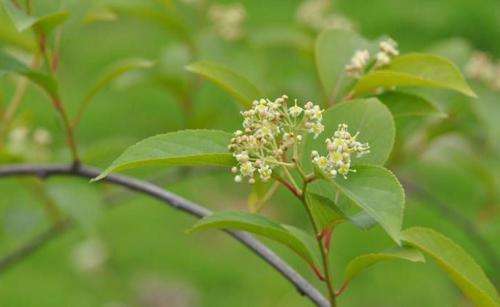 Tripterine significantly inhibited the PHA induced proliferation response and il-2 induced growth in normal cells, and its inhibitory effect was enhanced with the increase of concentration. It can also inhibit the immune adhesion of red blood cells. Both cona-activated T lymphocyte transformation and specific antigen-activated mixed lymphocyte responses were significantly inhibited, and the intensity of the inhibition was related to the dose and timing of triptolide application. Triptolide has an obvious anti-tumor effect, induction of human cervical cancer cells apoptosis tripterygium wilfordii armour is cytotoxic activity for multiple myeloma cells. Triptolide can also inhibit vascular endothelial cell growth factor mRNA expression and endothelial cell growth factor angiogenesis and secretion, it may be the tripterygium wilfordii lactone alcohol to reduce one of the mechanisms of action of glomerulonephritis patients with urinary protein.